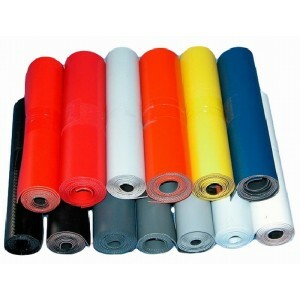 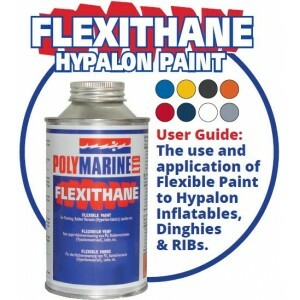 IBS PVC Fabric 30" x 6"
Polymarine have formulated a specialist paint called Flexithane for the renovation of inflatable boa..
A finishing product specifically for use on inflatable boatsSuitable for both PVC and Hypalon fabric.. 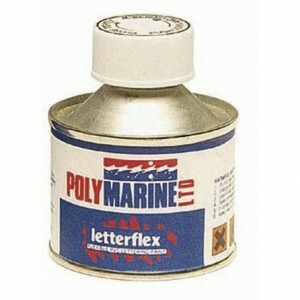 Flexible PVC paint in small 125ml tins.For use on PVC Boats,hatch covers, poly vinyl fenders and Boa.. 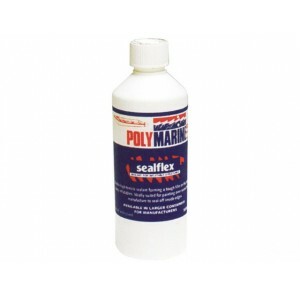 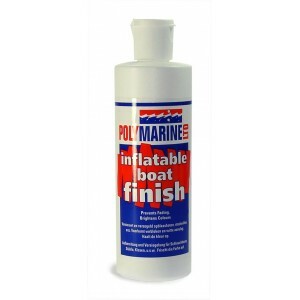 This product from Polymarine may be the answer to those tiny multiple leaks in your dinghy. 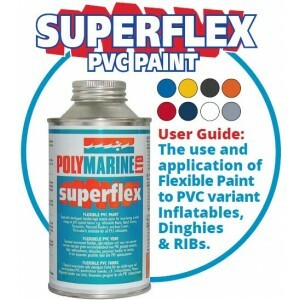 The prod..
Polymarine have formulated a specialist PVC paint called Superflex for the renovation of inflatable ..